British prime minister Theresa May rebuked plans presented by Scotland on Tuesday (20 December) to stay in Europe's single market, saying they were "impractical" and relied on unacceptable assumptions about Scotland's position. Scotland's first minister Nicola Sturgeon presented the plans, contained in a 60-page document named "Scotland's place in Europe", which she said would avoid the "devastating" consequences of leaving the EU and its single market. The first option would be to keep the whole UK in the single market, as a "full member" of the European Economic Area (EEA). 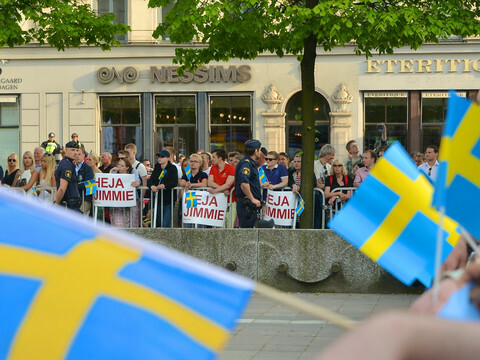 The EEA is made of the EU 28 countries plus Norway, Iceland and Lichtenstein. This could be done, according to the Scottish paper, with the UK joining first the European Free Trade Association (EFTA), a club composed of Norway, Iceland, Lichtenstein, and Switzerland. It would then "retain – or renew – its membership of the EEA Agreement or by direct association to the EEA". "It would make no economic sense whatsoever for the UK to leave the single market," Sturgeon said. "It would be entirely democratically justifiable for the UK to remain within it. "I accept that there is a mandate in England and Wales to take the UK out of the EU. However, I do not accept that there is a mandate to take any part of the UK out of the single market." As a consequence, if the UK government decided to leave the single market as well as the EU, in particular to be have more control on immigration, Scotland would ask for a so-called differentiated solution. It would remain in the UK but would choose what is often referred to as the "Norway model" - membership of the EFTA and to the EEA. There would be no customs or people control at the border between Scotland and England, Sturgeon insisted. 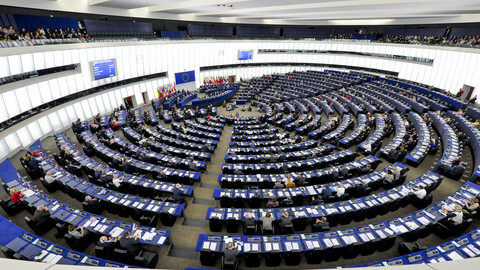 UK government or the governments of the EEA member states," says the document. "It requires agreement that Scotland should not be required to leave that market against the clear democratic wishes of a majority of our, and the EU’s, citizens." The Scottish government's proposal, which assumes that the UK will leave the EU and most probably also the single market, doesn't make the case for independence. 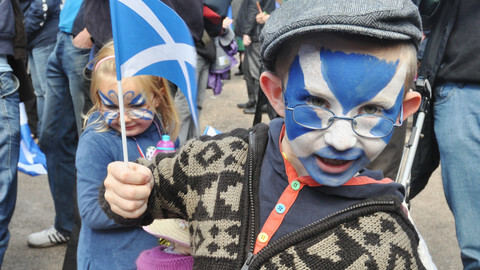 Although it says that it "continues to believe that independence offers the best long-term future for Scotland", the government insists that "Scotland will only become independent when a majority of people in Scotland choose that future in a democratic referendum". "The proposals in this paper reflect the mandate given to the Scottish government by the Scottish parliament in the days following the EU referendum to explore all options for protecting our relationship with the EU," it adds. 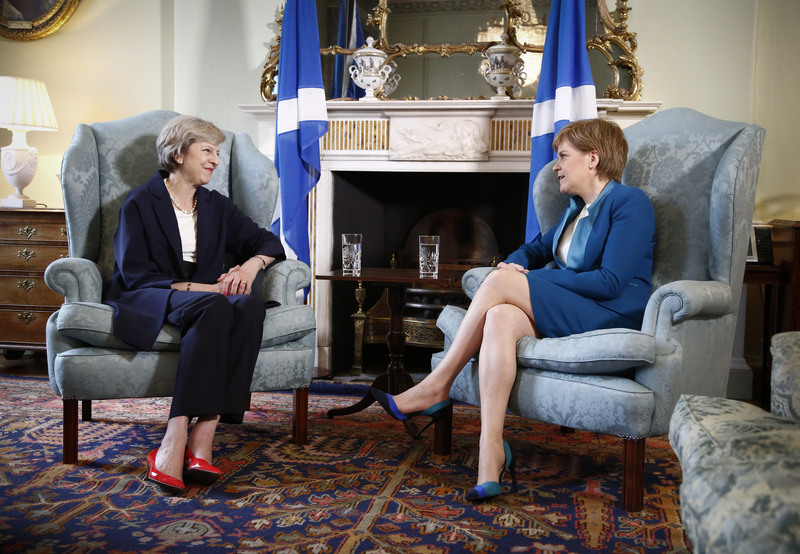 Sturgeon however said that an independence referendum remained an option if the UK government did not accept Scotland's proposal. 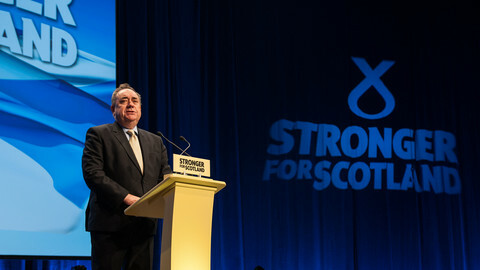 In an interview to EUobserver, her predecessor Alex Salmond said a vote could be held even before the UK reach an agreement on Brexit with the EU. As such, Sturgeon pointed out, the document was a "significant compromise" and "a serious and genuine attempt to build as much consensus as possible, to square the circle and to unify the country around a clear plan to protect our interests". 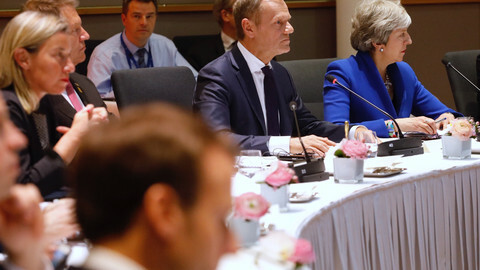 She added that she expected that the British government would "demonstrate the same flexibility and willingness to compromise". But British PM Theresa May quickly poured cold water on Sturgeon's proposals. “What we will be negotiating is a United Kingdom approach and a United Kingdom relationship with the European Union," she said in a House of Commons debate. "I think you’ve assumed an acceptance of differential relationships which I don’t think it’s right to accept," she told a Scottish MP. She said that she would "look very seriously at any proposals that come forward from the devolved administrations, but there may be proposals that are impractical". She added that she didn't think there was "a need or a reason for the Scottish government to hold another independence referendum". 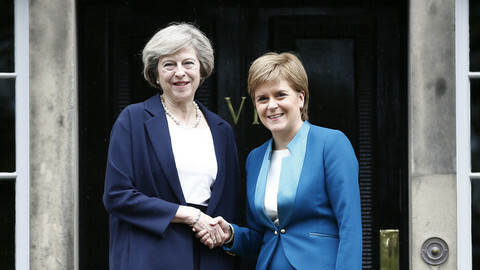 In any case, May insisted, "if Scotland were to become independent, then not only would it no longer be a member of the European Union, it would no longer be a member of the single market of the European Union and it would no longer be a member of the single market of the United Kingdom". She also warned that "the single market of the United Kingdom is worth four times as much to Scotland as the single market of the European Union".